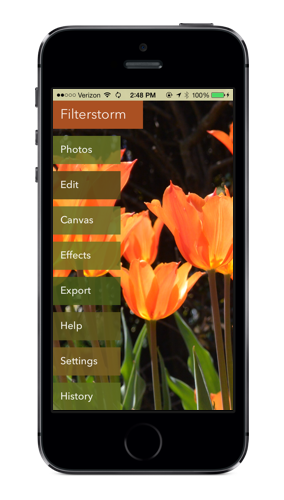 Filterstorm Neue provides you with all the photo editing tools you need; everything from powerful masking tools to simple pre-made filters. It has been rewritten to to be faster, easier to use, and to take full advantage of your device's hardware. 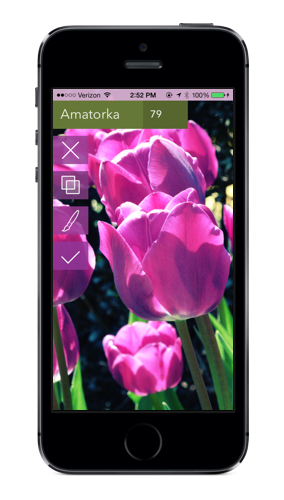 Photojournalists will enjoy features like FTP and IPTC metadata with code replacements, purists can use curves and masking to dodge and burn, and iPhoneographers of all skill levels can enjoy the set of photo effects included. 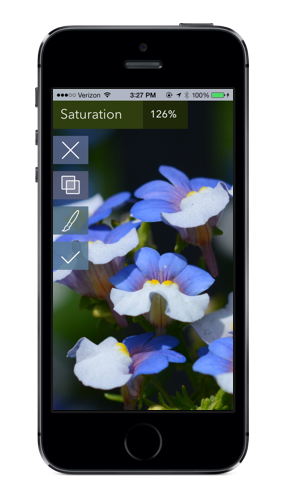 Combine this feature set with the beautiful fluid new interface that changes colors to match your photos and you have a photo editing package that can't be beat. *This feature is unavailable when using image tiling. 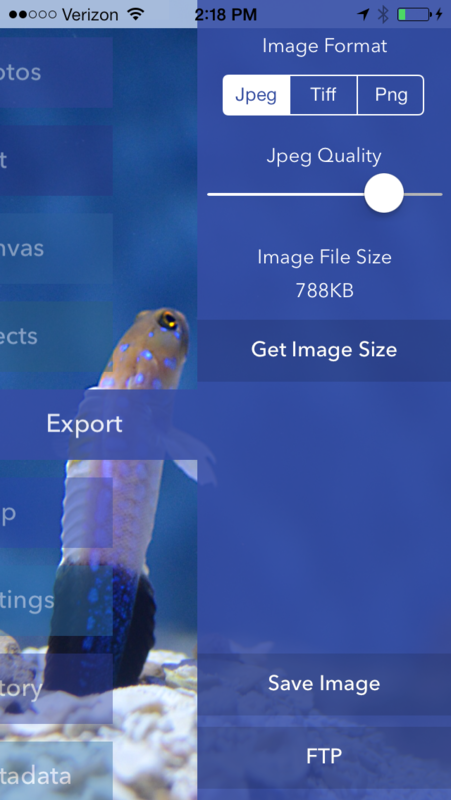 To enable image tiling, tap the settings button, then turn off the "Scale Large Images" option. Tiling allows you to edit images larger than the maximum texture size of your GPU (4096x4096 on newer devices, 2048x2048 on iPhone4). It is disabled by default, and may cause instability with very large images. An all supported iPads and iPhones except the iPhone 4, you can edit images from your device's camera at full resolution with this setting off. 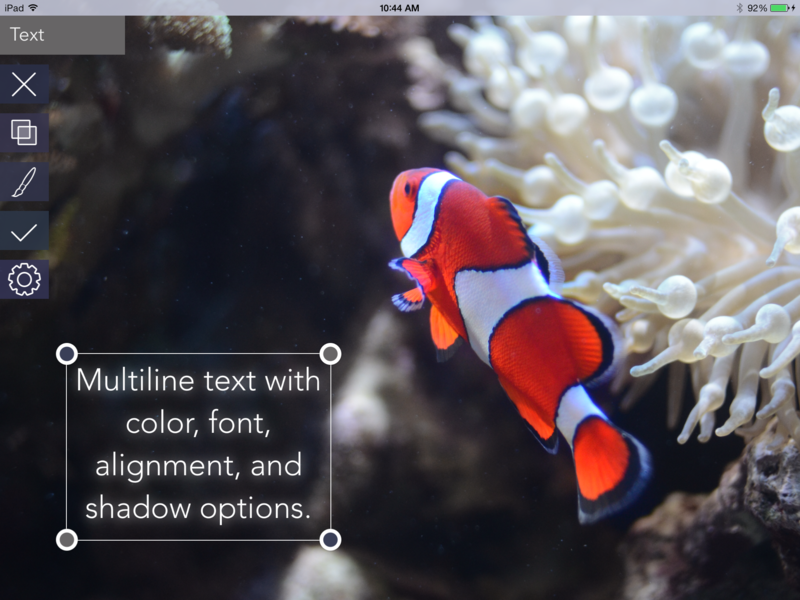 On iPhone 4 you can still edit at full resolution with image tiling. When image tiling is turned on, you can set a maximum image size; images larger than this size will be scaled down before processing to prevent instability. Reasonable maximums are 15MP for devices with 512MB RAM (iPhone 4/4S, iPad 2/Mini), and 24MP for devices with 1GB RAM (iPhone 5/5C/5S, iPad 3/4). 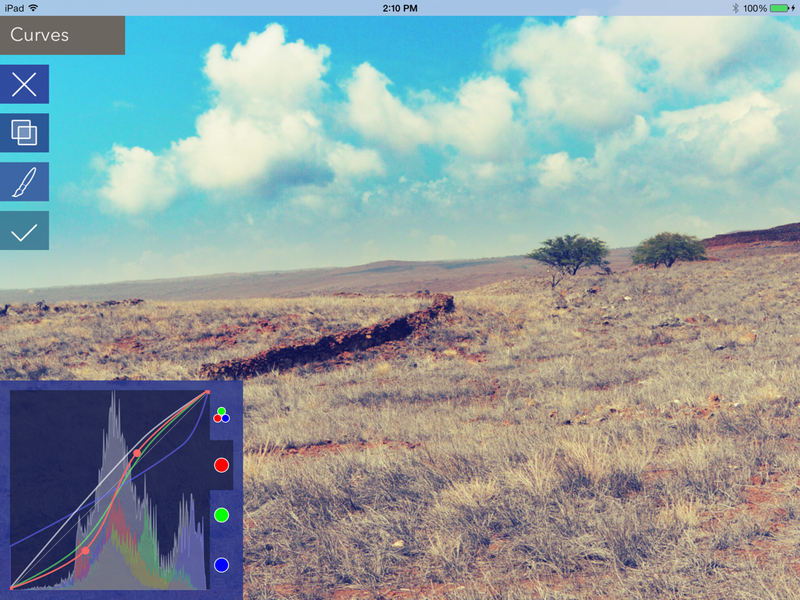 Filterstorm by default uses Apple's built-in tools to open image files. In addition to this, there is a setting to turn on DCRAW to handle RAW files. This will significantly increase the initial time to load an image, but will allow you to edit RAW files from a large number of cameras. Filterstorm Neue's largest advantage over classic Filterstorm is speed. In many—maybe most—cases, Filterstorm Neue can edit a full sized image faster than Filterstorm classic could edit the downsized working image. This is thanks to a rewritten back end that takes much better advantage of your device's GPU. 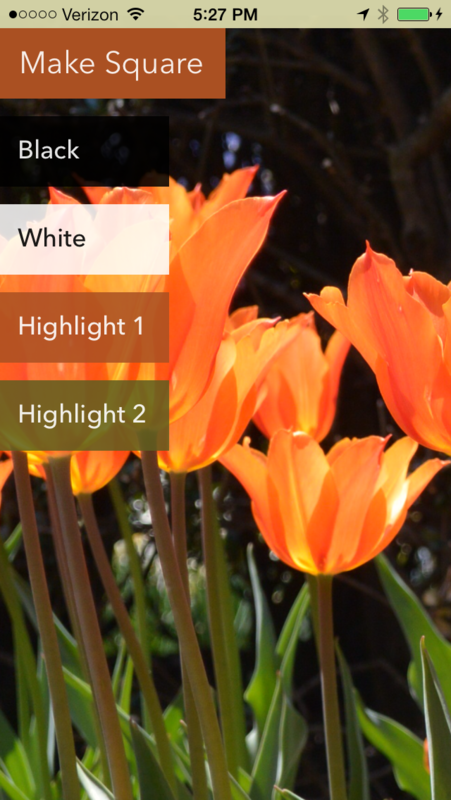 The previews shown in Filterstorm Neue before applying a filter are larger, and the image is shown at full resolution after applying each filter. 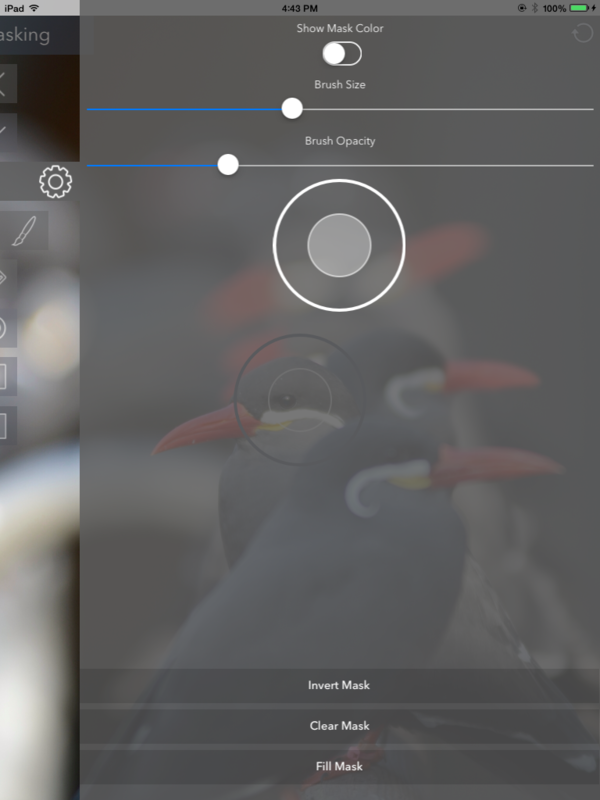 Most filters allow you to go back and forth between masking and filter strength, making precise edits faster and easier than ever. Ability to alter red, green, and blue curves simultaneously. These can be altered one at a time in classic Filterstorm. Tilt/Shift, Amatorka, Bleach Bypass, Sepia, and X Process effects. 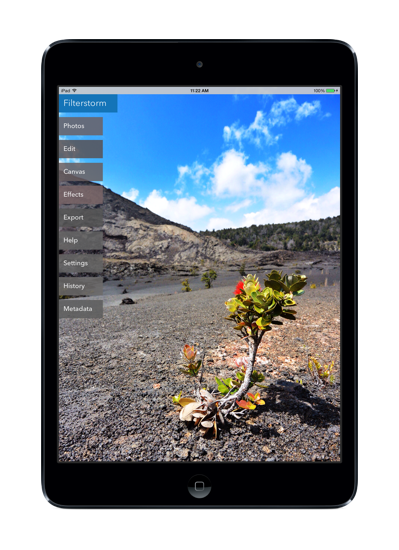 Some of these features may be added to Filterstorm Neue in the coming months. Filterstorm Neue supports export of the following IPTC fields. IPTC fields are currently not read from photos, but support for this is planned for the future. 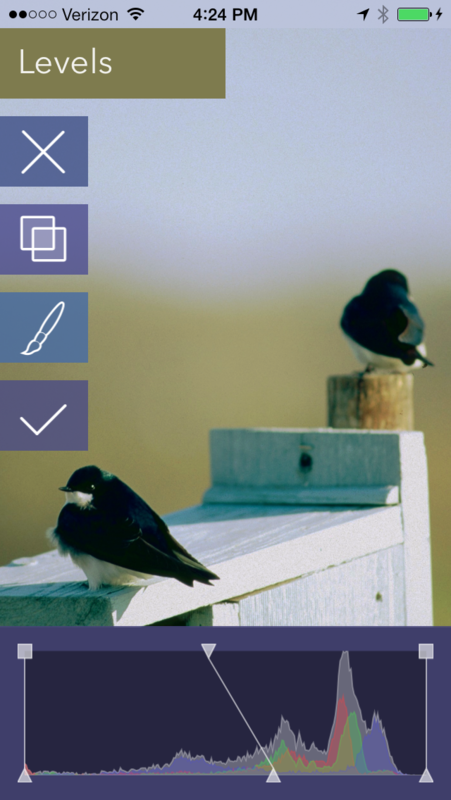 Filterstorm Neue 1.0 has preliminary support for code replacements. Simply place a code replacements file named "code-replacement.txt" into Filterstorm Neue's documents directory in iTunes under the Apps tab. When editing your image's metadata, you prefix the code with a / and then when you hit space after inputting the code, it will be replaced. This feature is working, but in an early form; more importing and management options will be added in the future.